This page contains an installation overview of digital phone, if you want repair instructions, click here now. 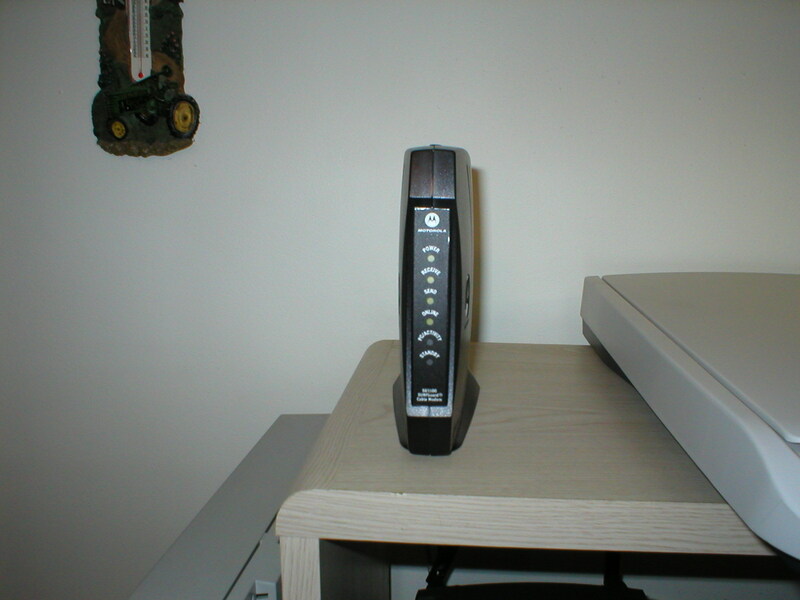 Before you can connect your digital phone, you must have a functioning Cable or DSL modem and the router provided by your new digital phone service provider. Time your installation with the activation of your new digital phone service. 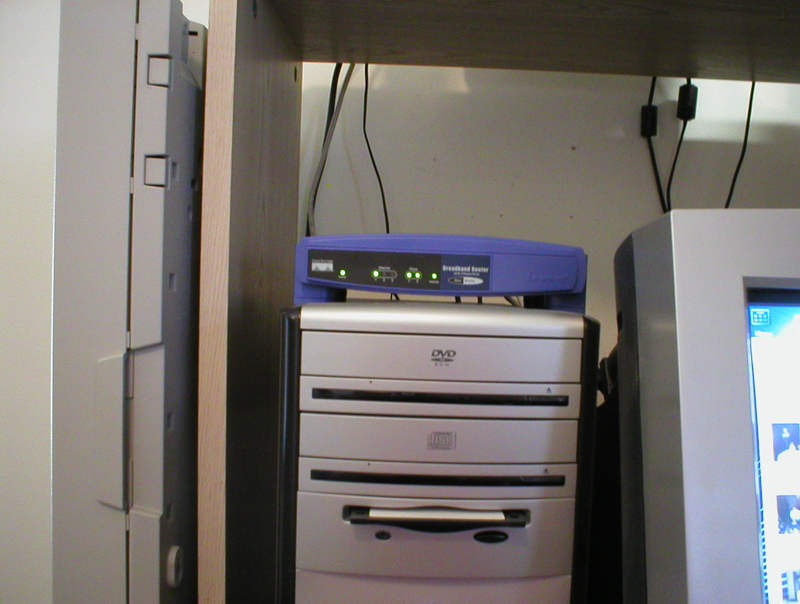 Turn off your PC and unplug the power cord to your existing Cable or DSL modem an PC. You will loose your Internet connection during this installation. To connect your digital phone, bring the cat 5 cable from your current or existing Cable or DSL modem and plug it into the "Internet" port on your phone router. This cable should be connected to your Ethernet port on your PC if you already have a Cable or DSL modem. Take the cat 5 cable provided with your installation kit and connect it to "Ethernet Port 1" on your phone router. Plug the other end of this cat 5 cable to the "Ethernet port" on your PC. Plug your phone into the "Phone Port 1" if you have a two line phone router or "Phone" if you have a single phone router. We want to test the phone port at the router before we connect the existing jacks in you home. 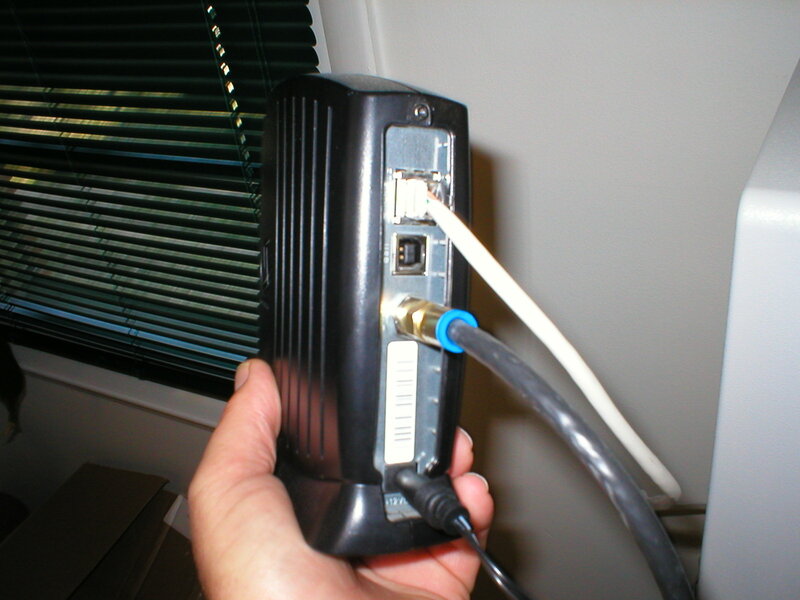 Connect the power cord to your Phone router, Cable or DSL modem and your PC. Power up and wait until all the devices come on. When your PC boots up, logon and go to the Internet. If you can do this, you have your connections installed correctly. On the Phone router, the "Power" light should be on, "Light 1" on " Ethernet" should be on and The "Internet" light should be blinking fast. Your phone light or lights should flash, go out, then come back on steady, this may take a few minutes. If the phone lights do not come on steady, there is a problem with your service provider. Contact them and ask if your service has be activated. The service must be activated before your digital phone will work. When the "Phone" light is illuminated and steady on your phone router, your phone should work. Make and receive a call and be sure it all works and sounds ok. 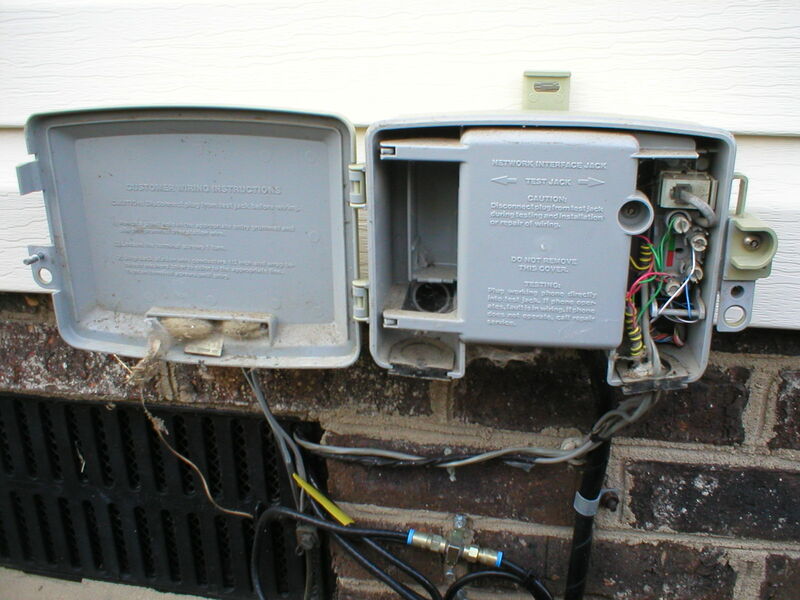 If you have a dial tone, your installation connections are right. If you can't call out or all your incoming calls go directly to voice mail, then there is a problem. Contact your service provider for instructions. When you can make and receive calls on the phone plugged into your router, you are ready to connect the jacks in your home to the router. To make the connections, you must connect the "Phone" port to the existing wiring in your home. Unplug your phone from the phone router. Connecting existing jacks to your new digital phone service can be as easy as disconnecting the test cord in your "NID" ( this is commonly called "disabling the Demarc"), then placing a cord from your "Phone" port on your phone router to an existing jack in your home. Use a standard phone cord with a plug on each end to make this connection. This may be the case when you have a cable modem, It's a little more complex with DSL. If you disable the Demarc and have DSL, guess what? You have disabled your DSL also. We have to treat DSL and cable differently. NOTE: to disable the demarc, simply unplug the test cord in your NID. If you have DSL, do not disable the Demarc for it will disable your DSL connection. To connect other jacks to your digital phone it is recommended that you hire professional help. You can find a qualified technician capable to doing this work by clicking here. Your NID may look different from the above example, but should work the same way. Simply unplug the cord and this disconnects the wiring inside your home from the local telephone network. The Demarc is disabled when the cord is unplugged. Now run the cord from your phone router to an existing jack in your home and all your jacks should work. This is all that is needed in most cases. However, If you have other telephone numbers in your home, you will need to be sure you disable the correct demarc. If you have only one line and you have only one cord in your NID, you can't go wrong. If you have a NID with multiple cords, but don't have any more telephone numbers , unplug all the cords. Unplug one cord at a time and check to see that other numbers, if any, are still working. If a phone on another line is dead, plug the last cord unplugged back in and try the next cord and so on until you isolate the correct line cord. Connecting jacks to Digital Phone with DSL service. Your DSL modem is using your phone jack so you must get a connection from your phone router back to the NID where the other jacks and wiring inside your home can be isolated or removed from the telephone network and connected to the phone router. If you do not plan to use any other jacks in your home for digital phone, just plug your phone into the phone port on your phone router and you are ready to talk. If you want all the jacks inside your home to work on Digital Phone, you must get a "feed" from your router to these jacks. This will require the installation of another jack( to plug the cord off the phone router into), with a wire pulled back to the NID to feed the other jacks. There are sometimes enough vacant pairs (a pair is two wires) in the line that feeds your DSL modem to prevent from having to pull in a new line from this jack back to the NID. It is suggested that you have a qualified technician do this wiring because if not done properly, could put your DSL out completely. To find a phoneman near you, Click here. NOTE; Remove all dsl filters on your phones if you use digital phone on a dsl modem, they will not be needed. There are times when professional help is needed. If you don't have an existing jack near your phone router, you must have one installed. If you have a fax line or another telephone number on the local telephone network , measures must be taken to leave these connected. When you have disabled the demarc and made the connection between the phone router and an existing jack and none of your jacks in your home work. Other numbers in your home are now dead or not working correctly. If any of these situations occur, put things back the way they were. Unplug the cord going from the phone router to the house jack. Restore the NID by plugging in any cords that were unplugged. Plug your phone into the phone port on your router. Call for help. Click here to find a phoneman near you for assistance.